Built in 1913 for a local politician and beautifully situated on the shore of Lake Zurich, the Jacobs House is today home to the Jacobs Foundation and the Johann Jacobs Museum. Inspired by the Jacobs family’s past in the coffee trade, both institutions maintain an extensive educational program on the history and present state of global trade routes. This book tells the story of the house, from its planning and building to the Jacobs family’s purchase of it in the 1980s and on through a detailed examination of the extensive reconstruction undertaken by Basel-based architects Miller and Maranta. 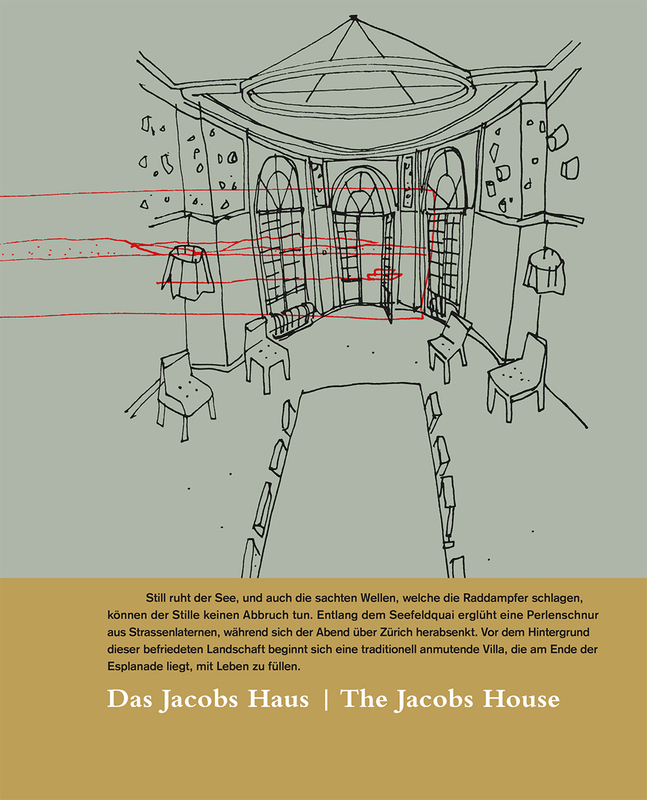 Richly illustrated with photographs and sketches, The Jacobs House is a celebration of a striking structure, rich in history. The book includes contributions by Roger M. Buergel, Zeuler R. Lima, Kathrin Meier-Rust, Sophia Prinz, Martin Tschanz, Felix Vogel, and Andreas Zangger.